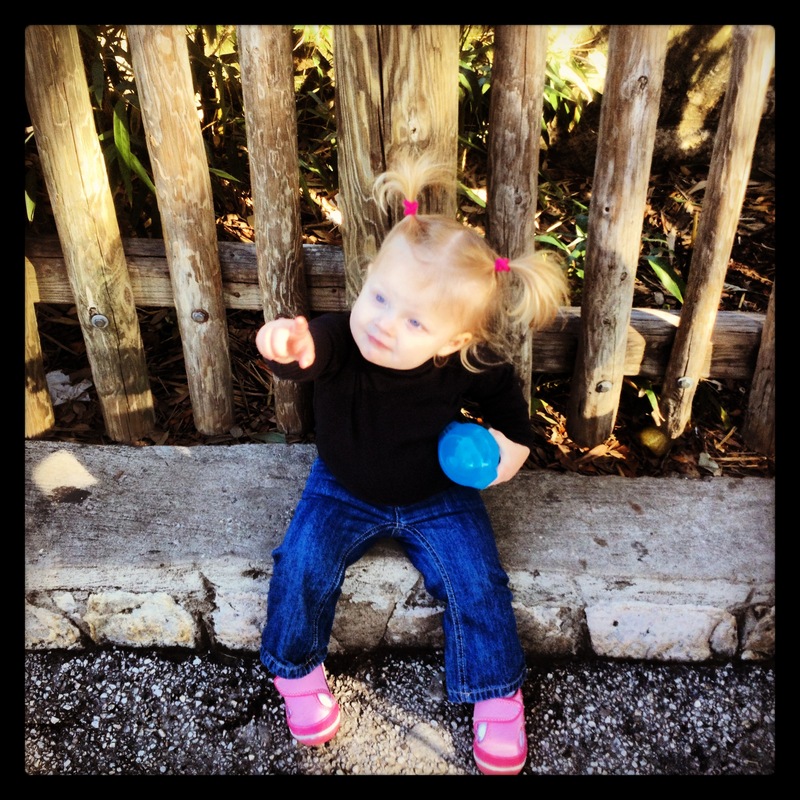 Today Scott and I took Landri to the San Antonio Zoo! The weather was gorgeous – a perfect zoo day – not too hot, and not too cold. 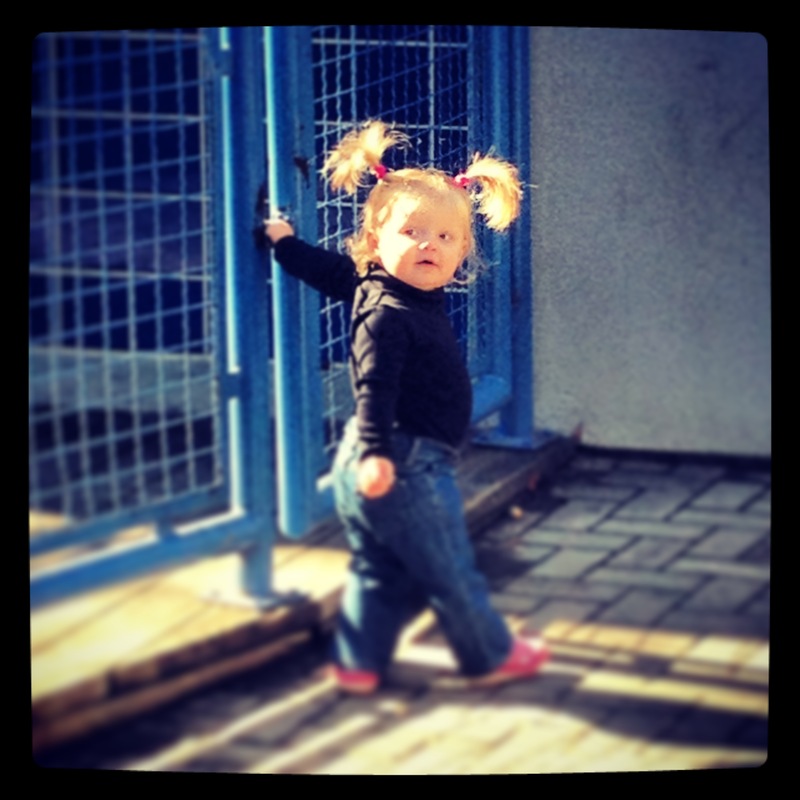 This was Landri’s second time to visit the zoo, but her first time as a toddler (she was still crawling when I took her this past July). HOLY CRAP YOU TERRIFY ME! 1. Santa. Landri didn’t get to meet Santa last year and I honestly hadn’t planned on taking her to meet him this year either, because let’s face it…based on her football mascot experiences in the past (Knightro and Glicerene, the boy and girl Steele Knight mascots), I just figured that she would freaking HATE Santa with a passion. 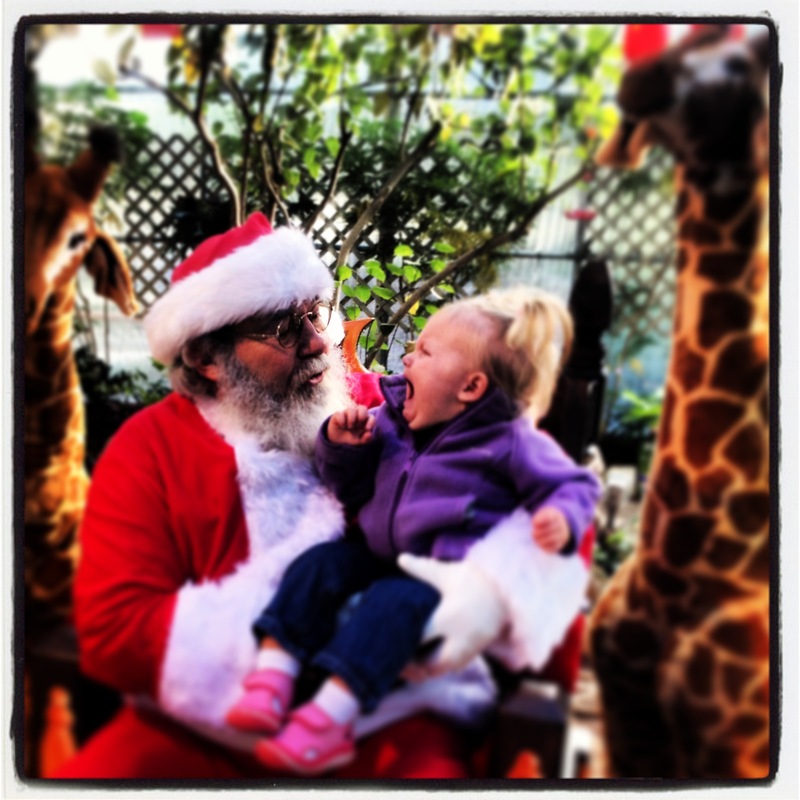 But, when we found out that Old Saint Nick just happened to be at the zoo today, we figured we might as well go for it! I was absolutely correct, and the photos speak for themselves (see end of post; I also included one with the football mascots for fun). My favorite one has to be the picture where she musters the courage to look right at him. It’s priceless. My only regret was not dressing her in her awesome Christmas outfit from her Grammy that you saw in my previous post. I had no clue Santa was making a visit to the zoo today! 2. Her cookie. So after torture time with Santa, they made it all better by handing out peanut butter cookies. It was pretty big and she was in hog heaven eating it up. Wouldn’t share it with me or Daddy either. Hilarious! 3. The fences. Most of the rod iron fencing had a ball on top of the posts every so often. She was obsessed with the balls on the fence posts and kept pointing them out. Clearly, a fence post is MUCH cooler than a lion, tiger or bear! 4. The signs. She loved the signs saying what animals were in each exhibit. Random! 5. Gates/Off-limits areas. Anywhere she wasn’t supposed to go, that’s where she wanted to be, rattling gates and trying to climb. 6. Sitting spots. Landri loved to show us her sitting skills by sitting down anywhere that was Landri-sized such as curbs, etc. (several pics below). 7. Garbage cans. Not sure why, but probably because they aren’t what we paid $24 to see, she was really interested in the garbage cans. It was so much fun even though she didn’t enjoy the animals as much as we’d like yet. Then we had brunch at Mommy’s and Landri’s favorite vegetarian/vegan restaurant. Landri really enjoyed the wham (fake ham meat) on my breakfast sandwich. Great holiday day with our little family – we don’t seem to get too much time like this together and I am so thankful for today – so much fun! Next Post Merry Christmas: DDA, Vegas Show Boy, & Daddy Chant! what your doing is incredible….love everyone of these. Merry Christmas to you Mega, to Scott and of course adorable Landri!!!!!!!!!!!!!!!!!! !